Although having a baby should be counted as a present for BW for any of his future birthdays/anniversaries, he has always been so selfless and put me first that I decided to spoil him a little this year. 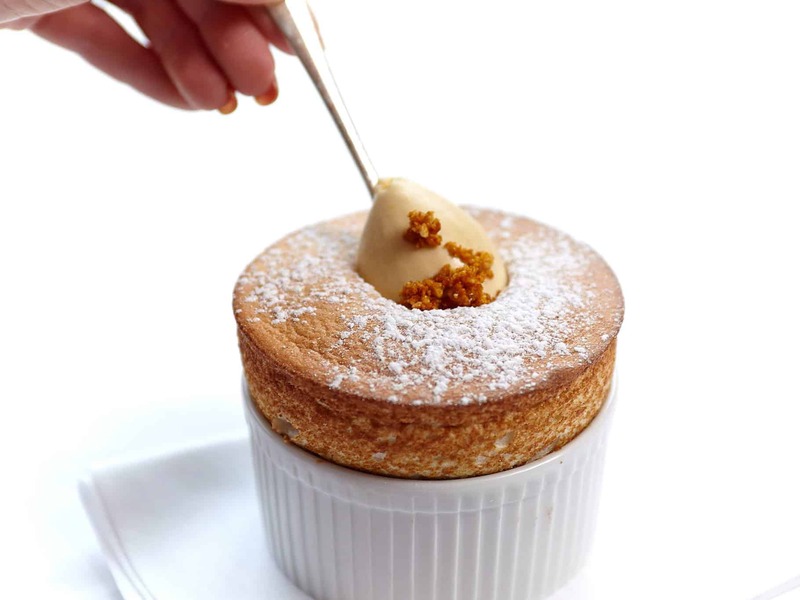 Putting aside the usual cards, presents, and cake, I made sure to plan birthday dinners at a couple of restaurants to really treat him; one being at our favourite, La Petite Maison, and the other at Frog by Adam Handling. 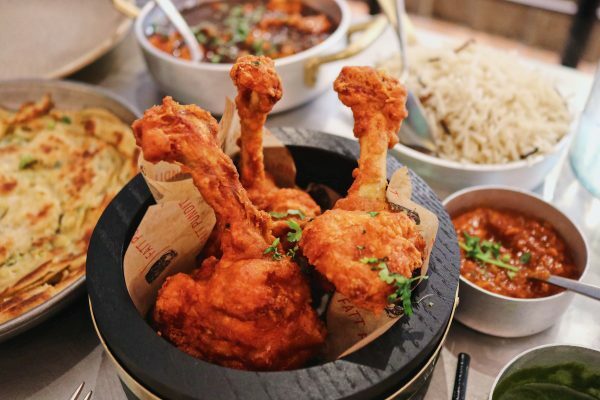 Given the fact that he has now become gluten-free (not for fashionable reasons), it was not easy to find the perfect birthday dinner destination. 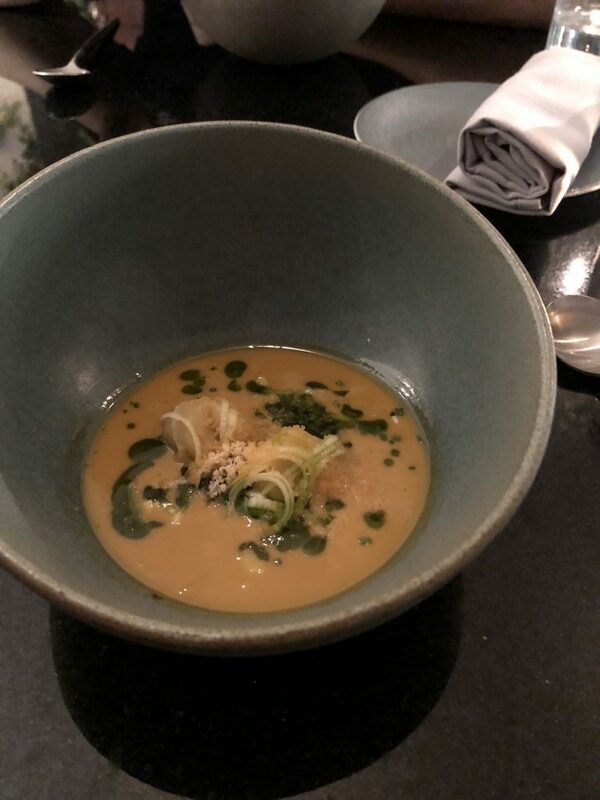 I finally consulted with a few foodie friends and decided on Frog by Adam Handling, who were happy to accommodate for both gluten-free and halal – bonus! We were warmly greeted by the restaurant staff who then informed me that the lamb, chicken, and beef were halal for the night – double bonus. 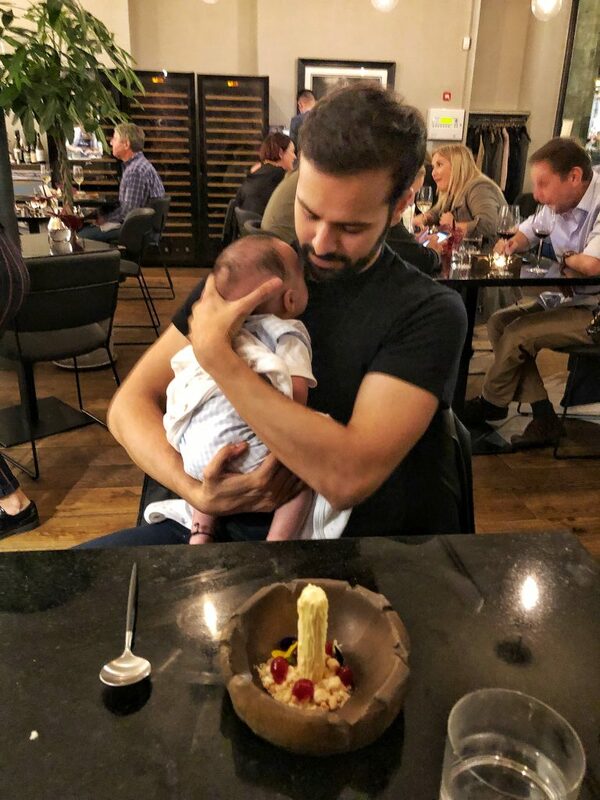 I opted for the £85 eight course tasting menu and then realised my mistake given how long the dinner would be, especially with an infant in tow. Oopsy. Before I could change my mind, the dishes started coming our way. 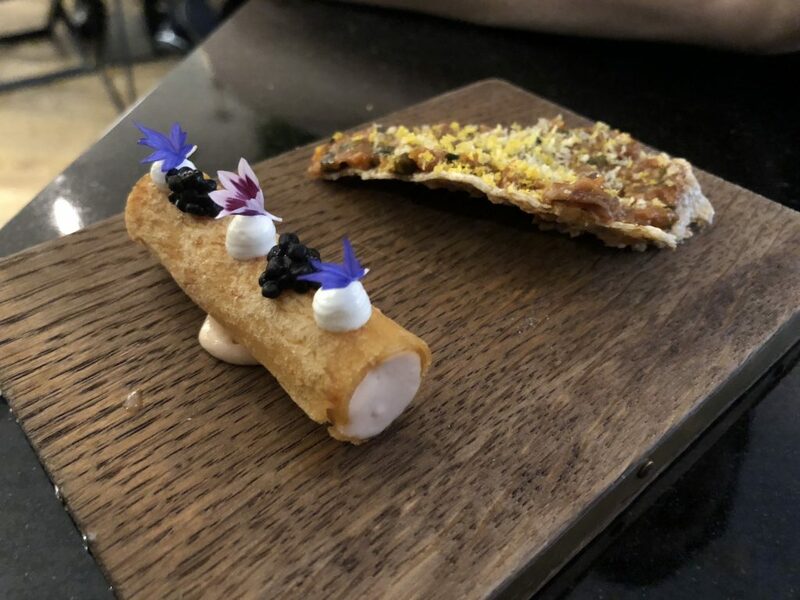 Crispy cylinders filled with smoked cod and creme fraiche mousse, and topped off with caviar. This was served alongside a crisp topped with beef tartare or corn and avocado mixture. A little tedious to eat when surrounded by other diners (do you slurp from the shell? do you use your fingers?) but a refreshing bite to start the meal. Creamy, whipped, chicken stock infused butter topped off with a pool of chicken gravy and crispy, salty chicken skins, served alongside a delicious but huge slice of sourdough toast. This was very, very rich and I could only manage a little bit at a time. BW missed the part where it says butter and began to scoop it up like hummus with his gluten-free crackers, much to my horror. His face immediately turned when I commented on how much he was enjoying that butter and he refused to touch it for the rest of the meal. 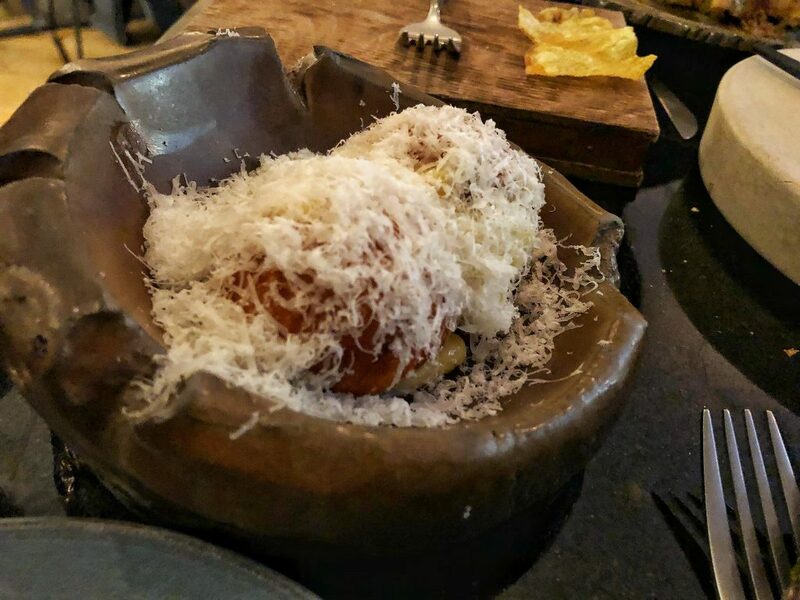 Not part of the tasting menu but how could I not order CHEESE doughnuts. Fried choux buns, filled with rich bechamel, and finished off with shavings of cheese – gazillion calories, for sure. Salt-baked celeriac that oozed a runny duck egg when cut into, plus truffle cream, crunchy apples sticks, and sweet dates too. 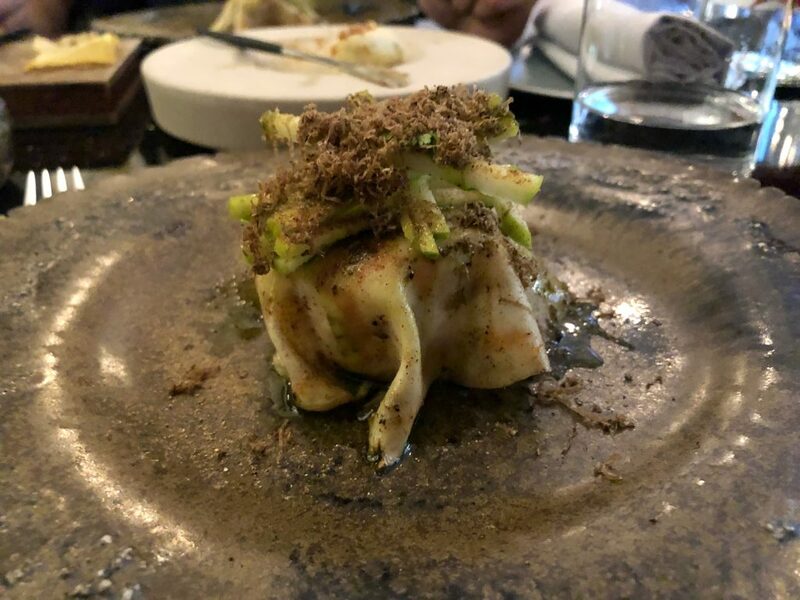 It was then topped with more julienned apples and literally a mountain of black truffle shavings. 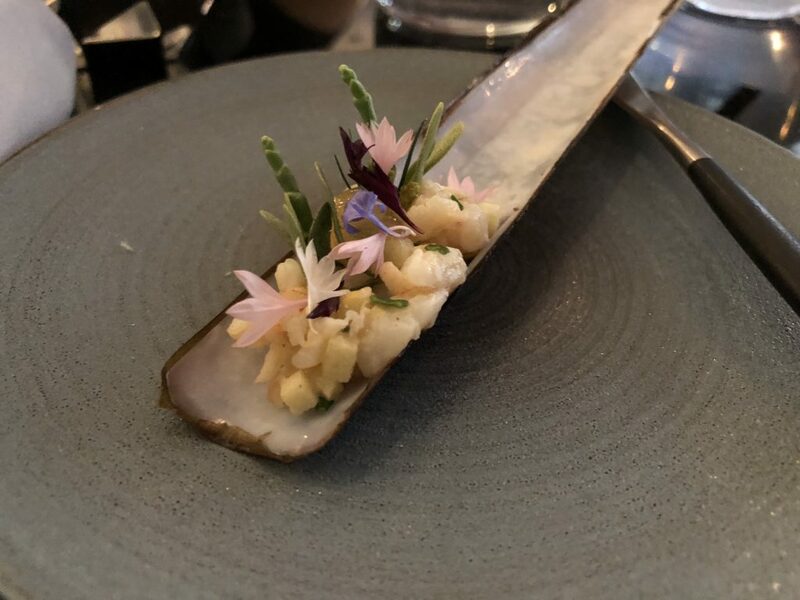 Each bite exploded with intense umaminess and varying textures that I still cannot stop thinking about this dish two months on. Kingfish carpaccio with cute blobs of avocado puree and chopped jalapeños. 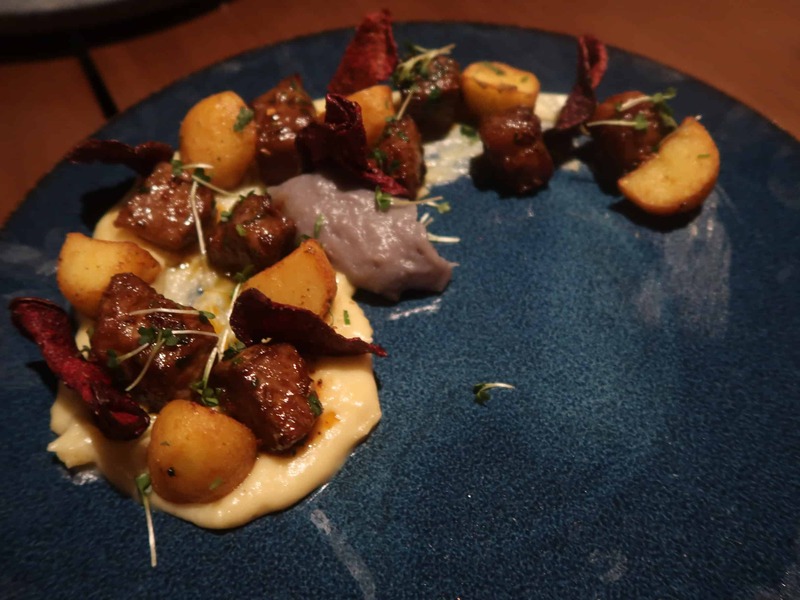 A refreshingly light and much welcomed dish given the intensity and richness of previous items. Tortellini filled with a salt cod mousse and finished off with tangy pickled leeks and a theatrical frozen cod roe. 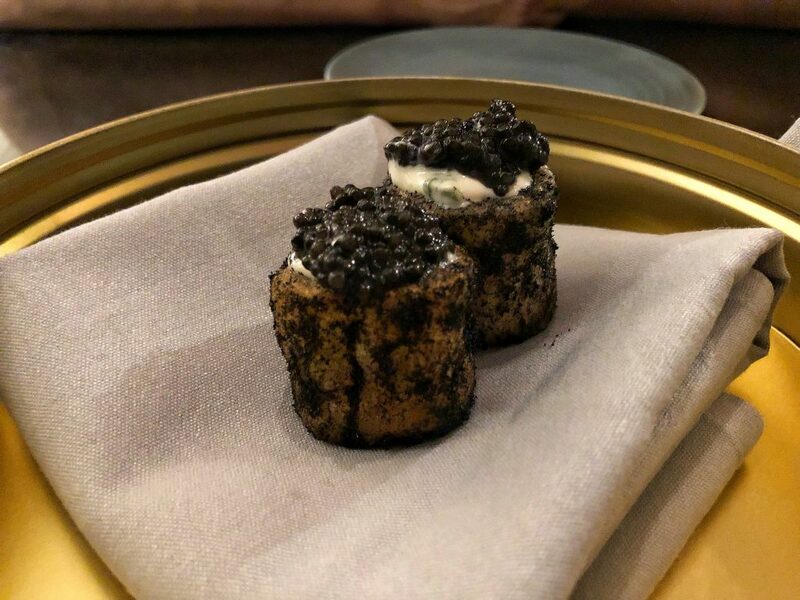 A small potato tube, filled with velvety chive cream cheese, rubbed with leek ash, and topped off with black fish roe. Shockingly good. 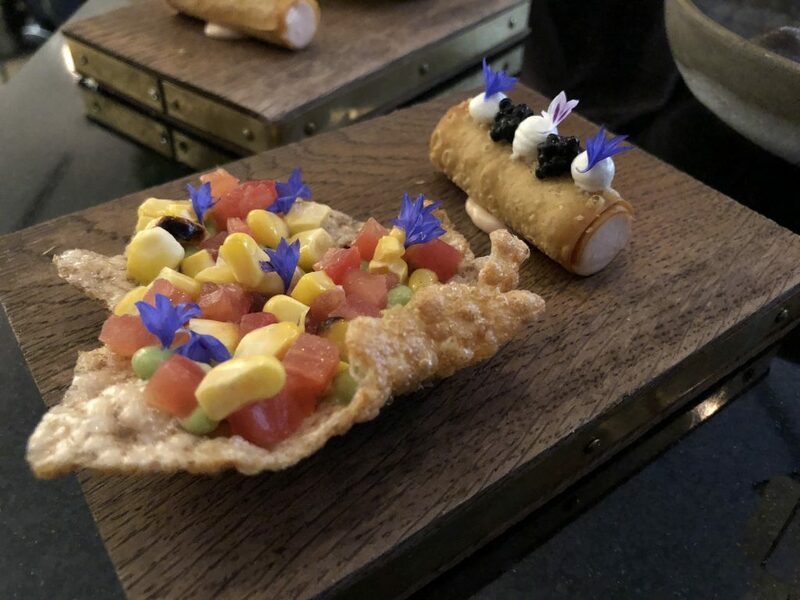 Another hit from the tasting menu. 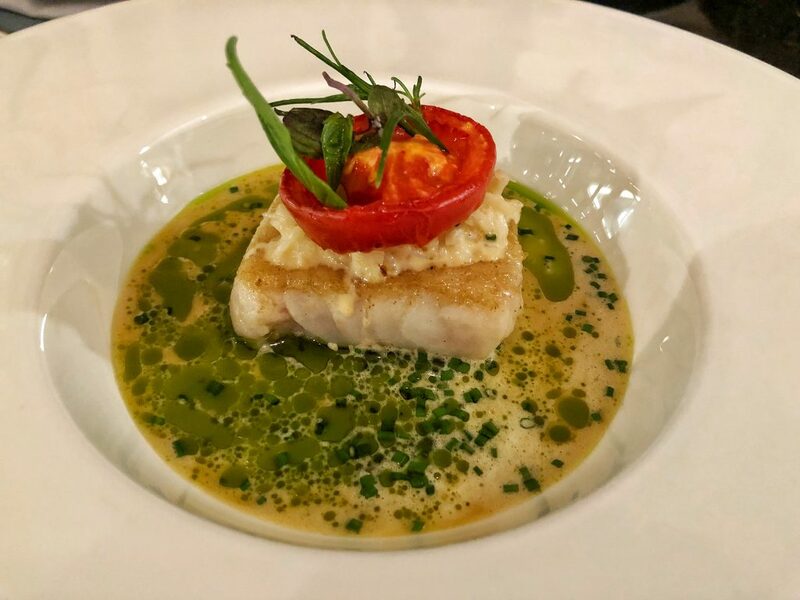 A piece of hake delicately cooked with a slice of juicy tomato and sweet crab meat on top, and placed in a divine emulsion of basil, crab, ginger, and lemongrass. 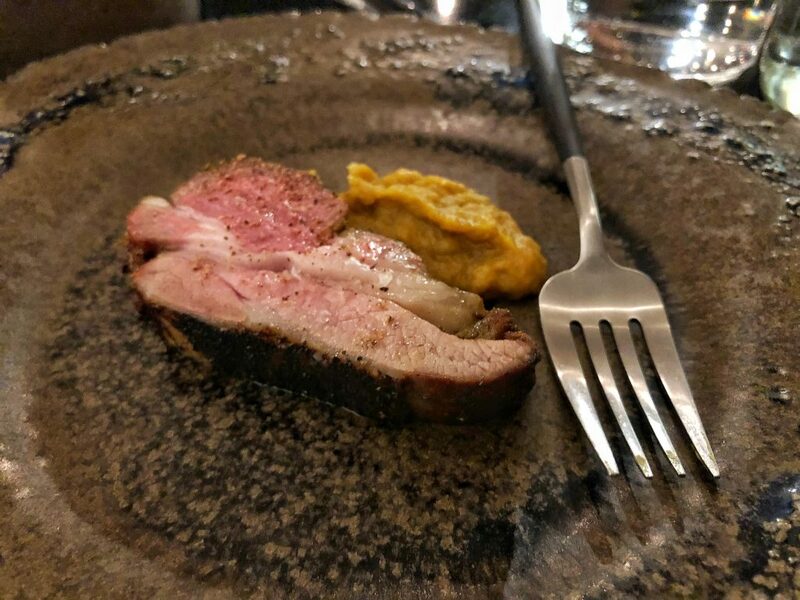 A thick slice of lamb that had been barbequed and served alongside a small mound of curried yellow lentils and a bowl of aromatic yellow curry filled with sweetbreads. 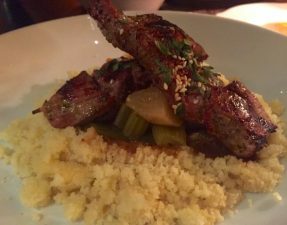 The lamb was good with the fat notably mouth-melting, but the yellow curry with sweet breads trumped the dish. 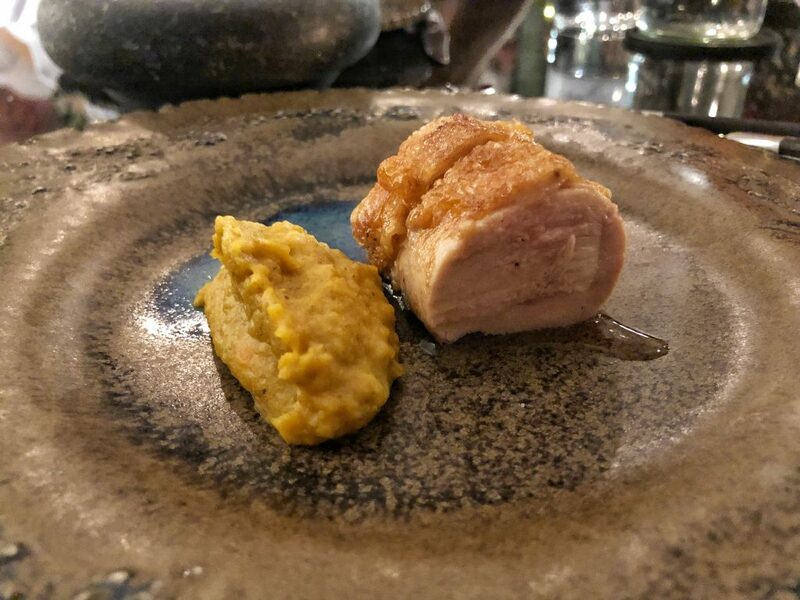 The sweetbreads were so deliciously soft, as well as the curry having aa heavy Asian influence, that this really could have been a dish on its own. As much as I appreciated the fantastic quality of the chicken, it seemed a little plain to me and the skin on top lacked any crispiness. The accompanying yellow lentils did add some pizzaz but it seemed like it was placed there to fill up the plate. 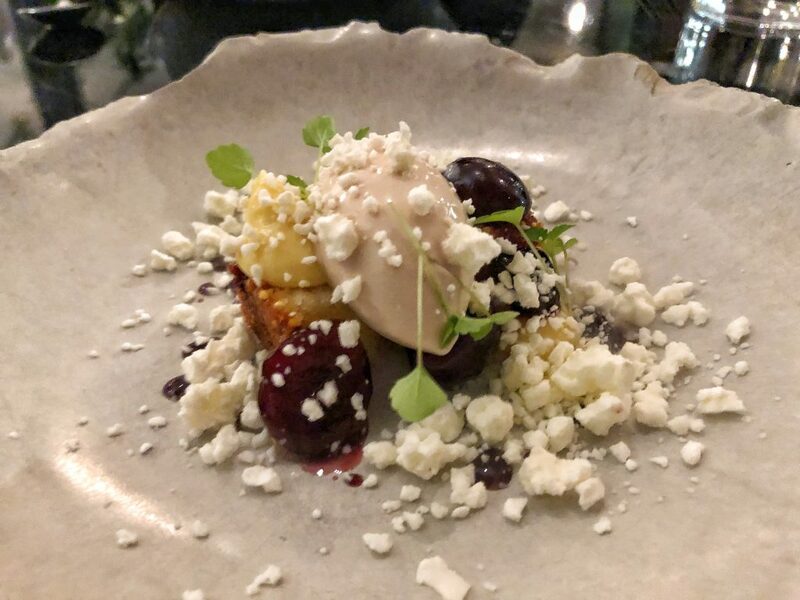 Tiny little pound cakes topped with cherries, meadowsweet, cherry ice cream, and frozen honey. 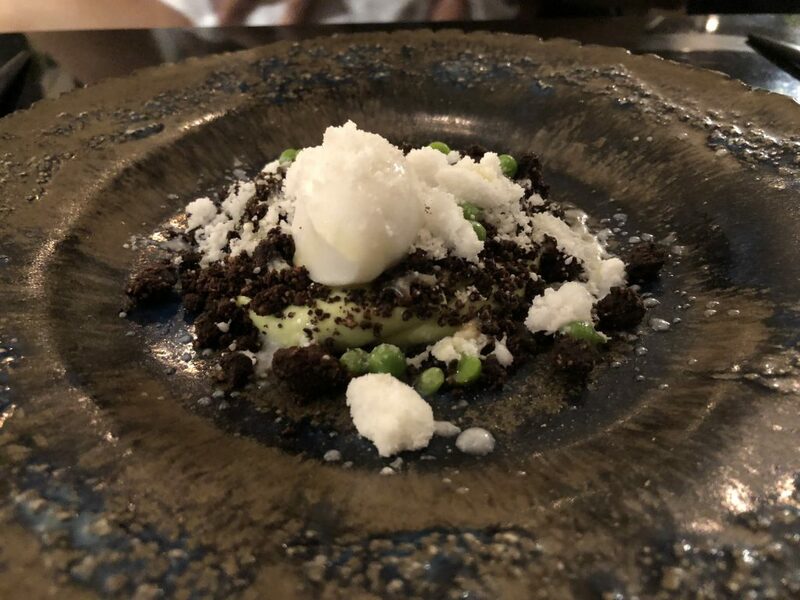 Crunchy dark chocolate crumb with a sweet garden pea mousse and dollop of cold and creamy coconut ice cream, plus coconut snow. 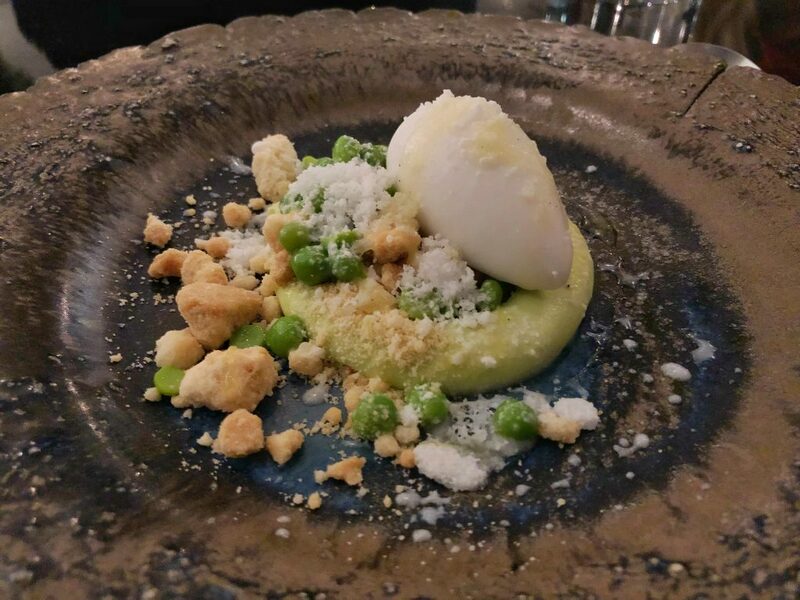 It may sound like an odd combination but the garden pea has a lovely sweetness that went well with the sharp dark chocolate and the mild coconut ice cream. BW’s gluten free version used honeycomb to replace the chocolate soil and was just as good! 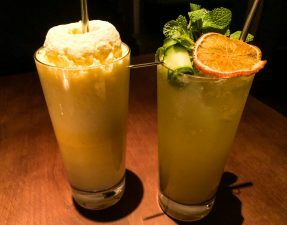 The total bill amounted to £230 for two people, including drinks and service, so £115 each. 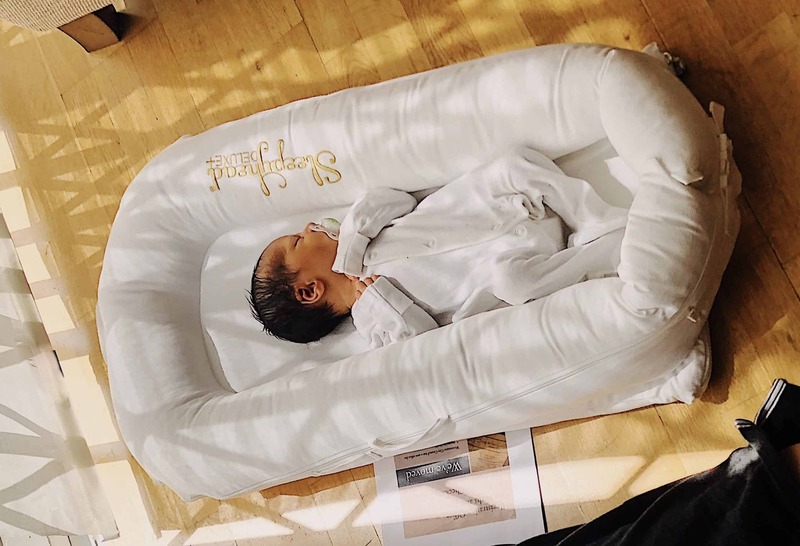 Although I did offer to pay (oh, how times have changed for HGAT), BW flat-out refused and insisted it was on him as I had done so much for him already (childbirth and all). 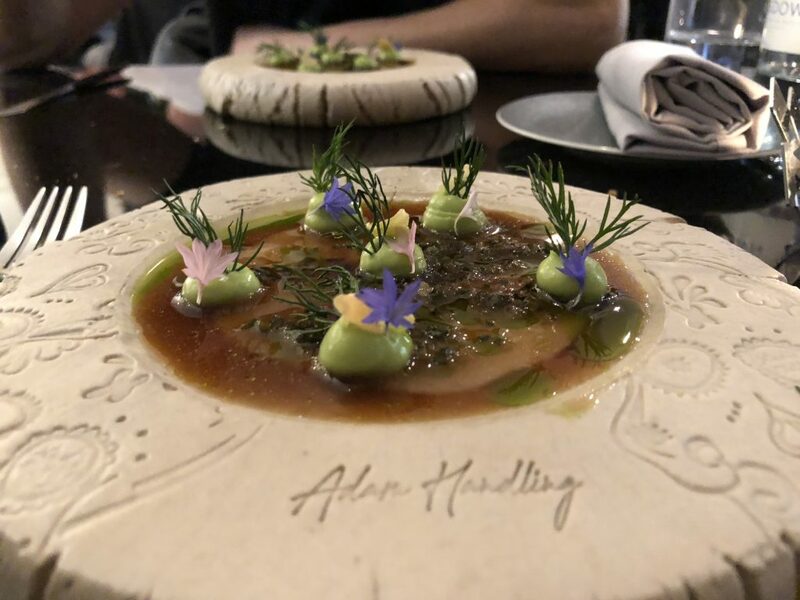 Was Frog by Adam Handling worth the hefty price tag? Yes and no, whilst the “snacks and starters” really excelled, I felt like the halal “mains” (chicken and lamb) could have been better. Despite its flaws, it is definitely a fun halal dining experience to have with your other half (and not with a baby) as we were there for almost three hours! The staff was incredibly helpful and friendly, as well as being extremely knowledgeable about halal requirements. 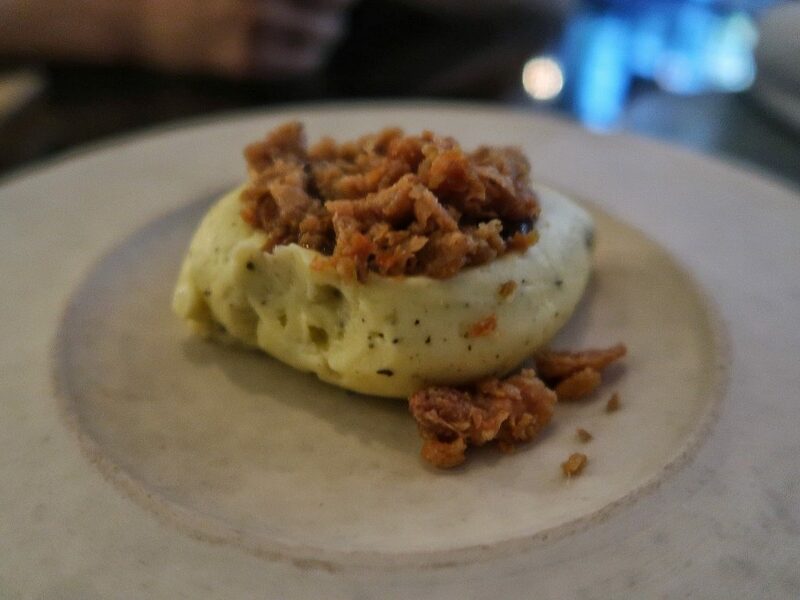 Click here for Frog by Adam Handling website. Please request halal when booking. 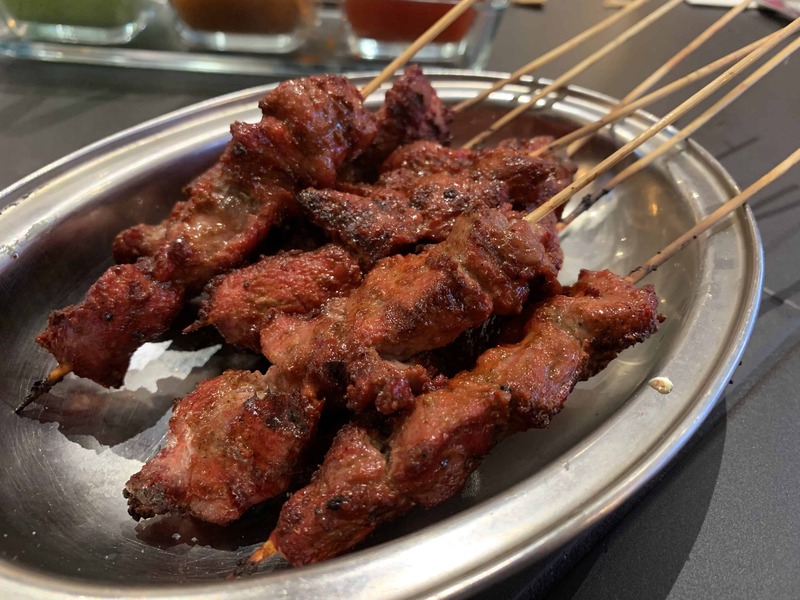 – Halal status on beef, chicken, and lamb confirmed by the staff. This must be requested when booking and you can check on the day to see what they have available as suppliers may change. – Pork and alcohol served. – This is not a child friendly restaurant although they did accommodate for a stroller (I informed them of this when booking). 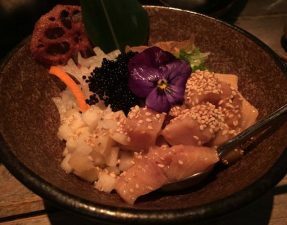 – This is also a gluten free friendly restaurant.